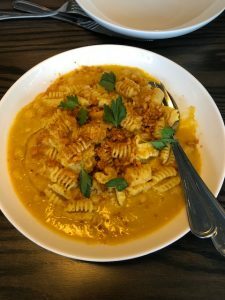 The new Italian eatery, a collaborative effort between a small group of close friends and locals, was largely inspired by Nonna’s cooking and brings fresh, local and approachable fare to the neighbourhood. 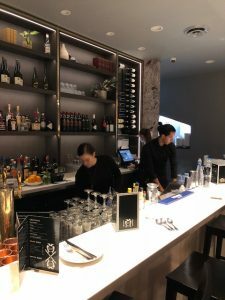 The modern and sun drenched 90 seat-space was designed by Janine Spartano interior designer and partial owner at Sopra Sotto. Contrast and opposites are a major theme throughout the space, especially within the colour scheme The combination of simple wood grain, playful details, and traditional metals create an inviting environment and perfect gathering place. Notable features include a vintage hostess station, brass light fixtures, natural wood and a modern, sleek back bar. At the helm of its kitchen is the restaurant’s Executive Chef, Enrico Fratoni, a native of Turin, Piedmont, Italy. At Sopra Sotto, Enrico prepares food that is simple and authentic, made fresh with seasonal ingredients. 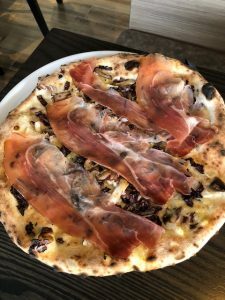 Sopra Sotto’s farmer style menu is heavily inspired by the Slow Food Movement with many ingredients sourced from The Drive itself. 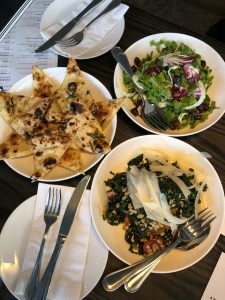 I tried a selection of food, and desserts, I loved the additive House-made Focaccia along with the Rucola Salad with Arugula, radicchio, fennel, shallots, and olives; and the Toscana Salad with Tuscan kale, barley, roasted tomatoes, and roasted pecorino. 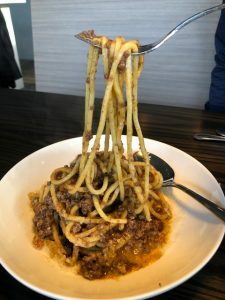 The Chitarrine Al Ragù was outstanding with the Square spaghetti made fresh in-house, served in an authentic Bolognese sauce; followed by the Radiatori E Ceci Pasta, chickpeas, and paprika-seasoned bread crumbs made fresh in-house. 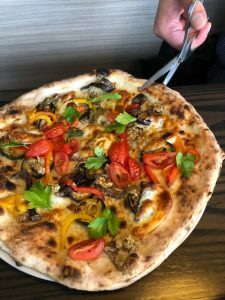 Tried a couple of their pizzas, the Vegetariana Pizza with Zucchini, eggplant, red peppers, cherry tomatoes, parsley, scamorza, and grana cheeses; and the Tirolese with radicchio, fontina cheese, mushrooms, speck, Buffala Mozzarella with balsamic. 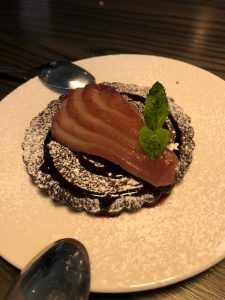 Tried of their desserts, the delicious Gluten free Dark chocolate cake with red wine poached pear.